According to Muslim scholars the following four sayings of the Prophet are indispensable for the religious guidance of man and contain the summary of Islamic Law. 2) The proof of a Muslim's sincerity is that he pays no heed to that which is not his business. 3) No man is a true believer unless he desires for his brother that which he desires for himself. 4) That which is lawful is clear, and that which is unlawful likewise, but there are certain doubtful things between the two from which it is well to abstain. The following utterances and actions by Prophet Muhammad are authentic, translated from the two books of "Hadith" (Prophet's Sayings and Traditions)-Sahih AI-Bukhari and Sahih Muslim. All the Prophet's sayings recorded in these two books were ascertained either by the Prophet's Companions who were in direct contact with him or transmitted by reliable people after quoting many other sources. Each saying mentioned in these two great books is narrated after mentioning the authority for the trustworthiness of the statements of narrators. The Prophet warned the Muslims saying: "Do not misquote me. Whoever does so will have his abode in Fire". As Prophet Muhammad's sayings constitute the second and complementary part of Islam, it becomes imperative for Muslims not to accept the sayings except those transmitted through reliable sources. As stated by Muhammad Ibn Sirin, "This science (Prophet's Traditions) is the religion, so be earful in receiving it." The Prophet also warns: "Whosoever brings in an innovation in these affairs of ours (the religion) which is not there, it is to be rejected". The following sayings are chosen from many, only to illustrate either the teachings, wisdom and ethics of Muhammad, or the barbarous manners of the people among whom he was born and lived. Some of them are meant to guide the Muslims and other peoples who like to lead a good and welfare life either here or hereafter. the sayings of Muhammad are here given subjectwise. I fulfil the faith of whosoever puts his faith in me; and I am with him, and near him, when he calls me. "When is the Hour of Doom?" The Prophet asked: ''Are you ready for it?" To this the man replied: "I have not prepared for it many prayers nor did I keep fasting many days or give charity. But I love Allah and His Messenger". The Prophet said: "Then you will be with whom you have fallen in love. 3) The believer who always reads the Quran is like an apple which has a good smell and is tasty; the believer who does not read the Quran is like a date, it has no smell but a good taste; the hypocrite who does read the Quran is like an aromatic plant, though with fragrance, but also with bitterness; and the hypocrite who does not read the Quran is like a colocynth, with no smell at all, but with a bitter taste. 4) Anyone who learns the Quran by heart and recites it with no difficulty has the rank of the scribes and nobel and virtuous angels; and anyone who finds it difficult to read the Quran fluently due to lack of learning will have two rewards in the Hereafter (one for reading the Book and the other for doing so despite of difficulty of understanding it). 5) This Quran was sent down in seven dialects, so read as much of it as is easy for you. 6) One should covet only two men, the first is he who learns the Quran by heart, recites it day and night and complies with its orders and inhibitions, and the other is he who is wealthy and spends his money for the sake of Allah during the day and night. 7) 1 have left two things among you, and you will not stray as long as you hold them fast; one is the Book of Allah, the other my sayings and traditions. 8) The Prophet said that Islam is based on five principles: To bear witness that there is no god but Allah and Muhammad is His Servant and Messenger; to keep up prayers; to pay the poor-rate; to perform pilgrimage (to Ka'ba); and to keep fasting the month of Ramadan. 9) Islam commenced in a forlorn state and will quickly return to what it was in the beginning; then be joyful, you who are firm. 10) Islam supersedes all pre-Islamic teachings. 11) To strive for the cause of Allah from daybreak to noon and from noon to sunset is better than the good and enjoyments of the whole worldly life. 12) Whoever has chosen for himself Allah as a Lord , Islam a faith, and Muhammad a Prophet, will certainly go to Paradise. 14) The muslim is a brother to any other Muslim; he should not persecute him or leave him alone in his troubles. Whosoever helps his brother Allah will certainly help him. 15) "Assist your brother whether he be an oppressor or an oppressed? ", " But how shall we do it when he is an opperssor ?" enquired a man; Muhammad replied: "Assisting an oppressor consits in forbidding and with-holding him from oppression." 16) If two Muslims fight with each other with swords both will go to the Fire. When the Prophet was asked that fire would be only for the killer and not for the killed, the Prophet replied: "The killed man will also go to the Fire because during fighting he was trying to kill his comrade". 17) The true muslim is he who does not hurt other Muslims either with his hands or his tongue. 18) The Prophet once was asked: "What is the excellent Islam?" He replied: "When you feed the needy and greet whomsoever you know or know not". 19) There is no monasticism in Islam. 20) Do not exceed bounds in praising me as the Christians do in praising Jesus, Son of Mary. I am only the Lord's servant; then call me the Servant of Allah and His Messenger. 21) The parable of myself and the parable of all the Prophets who preceded me is as the parable of a building set up, by a man which has been made fine but wherein the place of a brick was left out. The onlookers went round it wondering at the beauty of its construction except for the place of the brick. It is I who closed up the place of the brick. The construction has therefore been sealed by me, and the process of sending messengers by Allah has come to an end. "While we were seated one day in the company of the Prophet at the mosque a man came in riding on a camel and made the camel kneel down within the precint of the mosque and tied it. The man enquired: `Who is Muhammad amongst you?'. The Prophet was seated reclining in the midst of them. `That white reclining person', we replied. Then the man addressed Muhammad: "O, Son of Abdul Muttalib!'. He said: `1 am listening to you', replied the Prophet. He said: `I am going to ask you a few questions in which I shall be harsh to you. But do not take any offence against me in your heart'. The Prophet replied: `Ask whatever you wish'. He then said: `I ask you, by your Lord and the Lord of those who went before you. Has Allah sent you to the entire mankind?'. `Yes, O. Allah', replied the Prophet. He again said: `I ask you by Allah. Has Allah commanded you to say five prayers during the day and night?'. Yes, O, Allah', replied the Prophet. He said: "I ask you by Allah. Has Allah commanded you to keep fast during this month (Ramadan) of the year?'. `Yes, O, Allah', replied the Prophet. He said: `I ask you by Allah Has Allah commanded you to take the poor-rate from the rich among us to distribute it among the poor of us?'. Yes, O, Allah', said Muhammad. Then the man said: `I put my faith in the Divine Message which you have brought and I am a messenger of all those of my tribe who are behind me. And I am Dimam Ibn Tha' labah of the tribe of Bani sa'ad lbn Bakr' ". 23) Every Prophet had a well-responded prayer to Allah and mine I like to keep till the Day of Resurrection when I would intercede with Allah for my nation. 24) 'A'isha said: "A party of Jews asket permission to go to Muhammad and said `Death is upon you'. 3 And I answered their insult by saying, `Rather upon you be death and curse'. Then Muhammad said: `Be mild, O,`A'isha! and make a point of being kind, and withhold yourself from speaking harshly'. I said, `Did you not hear what they said?'. Verily, I do always say, `Be the same to you"
26) I swear by Allah that if Fatima, daughter of Muhammad, steals, her hands will certainly be cut off. 27) Once the Prophet was asked: "who is the most excellent of all men?" The Prophet replied: "It is the believer who strives hard in the way of Allah with his person and property." 28) Religion is but sincere devotion. "To whom? ", we asked. "To Allah, His Book, His Prophet, the leaders of the Muslims as well as the Muslim masses", he replied. 29) Out of the Fire will come whoever has said `There is no god but Allah' and has had a barley-grain's weight of good in his heart; and out of Fire will come whoever has said `There is no god but Allah, and has had a wheat grain 's worth of good in his heart; out of Fire will come whoever has said `There is no god but Allah' and has had an atom's weight of good in his heart. 30) Omar Ibn Al-Khattab narrated the following story: Once, when we were meeting with the Prophet a man with white clothes and dark hair and no trace of any fatigue from journey, who was not known to anyone of us, came near the Prophet and sat beside him, with their knees close to each other and with the strange man's hands put on his own thighs. The man said: "Tell me about Islam, Muhammad". Muhammad replied "To be a Muslim you should hear witness,, that there is no god but Allah and that Muhammad is Allah's Prophet; keep up prayers; pay the poor-rate; keep fasting Ramadan; and perform pilgrimage to the house if you find a way to it". The man said: "You have said the truth". Omar addad: we were surprised as to how such a man put such a question and then agreed to what he said. The man asked the Prophet again: "Then tell me about the true faith". The Prophet said: "To have faith in Allah His Angels, His Books, His Prophets, the Last Day and Predestination, whether good or bad". The man said: "You are right. But tell me about goodness and seemliness". The Prophet said: "You must serve Allah as if He watches you and believe that if He is not seen by you, He sees you". The man asked: "Then tell me about the Hour of Punishment and Reward". To this the Prophet replied: "The interviewed knows nothing about it more than the interviewer". The man said: "Tell me about its signs". The Prophet said: "The Hour will take place when the slave girl gives birth to her patron and benefactor and when the barefooted, the unclothed, the poor and the herder of sheep become superior to the nobility of people". Omar said: "Here, the man left and went away and I remained silent for a long time. The Prophet asked me: "Do you know, Omar, who was the interviewer?" I said: "Only Allah and His Prophet Know". The Prophet said: "He was Gabriel ! wanted to come to you to instruct you in your religion. 31) A man once came to the Prophet and asked him to tell him of any action which he can do leading him to Paradise and Keeping him away from Hell. The Prophet said: "When you serve only Allah without associating naught with Him. keep up your prayers, pay the poor-rate and observe and keep inviolate your ties with your relatives''. When the man left, the Prophet said: "If he will follow this, he certainly will enter Paradise." 32) Whoever dies believing that there is no god but Allah will enter Paradise. 33) Whoever bears witness that there is no god but Allah and that He has not any associate; that Muhammad is His Servant and Messenger; that Jesus, son of Mary, Allah's female-servant's son, is Allah's Messenger and his Word communicated and a mercy from Him; that paradise is true and Hell is true will enter paradise from any of its eight entrances. 34) He who believes that Allah is his Lord, Islam his religion, and Muhammad a Prophet, will certainly have the taste of true faith. 35) Modesty is a part of faith. 36) Whoever has these three qualities will have good faith: To love Allah and His Messenger more than anything else; to befriend himself to another man for no self-interest; and to hate to disbelieve in Allah after his belief in the same way he fears to be sent to Hell. 37) Anyone is not a true believer unless he likes for his brother whatever he likes for himself. 38) Whoever sees evil and indecency should eradicate it with his hands and if he cannot do so, then with his tongue, and if is still unable to do so, then with his heart-and that is the weakest faith. 39) Believers, in showing amity, compassion and pity, and in helping each other, are like one body; if one of its members compalins of a pain, the whole body complains from fever and passes the whole night awake. 40) A believer must not allow a snake to bite him twice. 41) A dishevelled man with no opulence or rank may be nearer to Allah than anyone else. He may be granted whatever he asks for from Allah. 42) This world is a prison for the Faithful, but a Paradise for unbelievers. 43) All Muslims are like the component parts of a foundation, strengthening the other; in such a way must they support each other. 44) Faith consists of some sixty categories one of which is modesty. 45) 1 swear by Him in Whose hands is my soul that no one is a true believer unless he likes me more than his parents and children. 46) 1 know Allah better than you; knowledge and truth come from the heart and bosom. 47) `A'isha said that when the Prophet used to order his followers to do something, they would say: "We are not like you, Prophet. Allah has covered for you your shortcomings in the past and those to come". On hearing this the prophet becomes angry and his face changes colour. Then he would reply: "It is I who know Allah and keep my duty towards Him; I know Him better than you". 48) Once the Prophet was asked: "Which act is better than everything else?" The Pophet said: "When you believe in Allah and His Messenger". Then he was asked: "What else?". He said: "When you strive for the cause of Allah". "Then What? ", They enquired. He replied: "When your pilgrimage (to Ka'ba) is accepted by Allah". 49) That which is lawful is clear, and that which is unlawful likewise, but there are certain doubtful things between the two from which it is well to abstain. 50) The Prophet told Al-Ashagg Abdul Qais that he has two qualities which Allah loves-Forebearance and long suffering. 51) Avoid the invocation to Allah by any unjustly treated man because in this case nothing stands between it and Allah. 52) Whoever sets a good example of good conduct in Islam will have his reward and that to be given to anyone else who will follow it; and whoever sets a bad example in Islam will surely bear its burden on the Day of Resurrection as well as that of anyone else who practised it. 53) Riches are not from abundance of worldly goods, but from a contented mind. 54) The successful is he who achieves great achievements in the world life and works sincerely for the Hereafter, contented with whatever has been granted to him by Allah. 55) Whoever is invited to a party should accept the invitation and there he may take his food or leave it if he wishes. 56) Whoever desires that Allah should redeem him from the sorrows and travail of the Last Day must delay in calling on poor debtors, or forgive the debt in part or whole. 57) whoever believes in Allah and the Hereafter must speak only good words, otherwise-he must keep silent. 58) Always convery good news and avoid frightening anyone else. Make everything easy and do not exaggerate in giving orders. 59) The Prophet was asked about the best of all creatures. He said "It is the believer who Strives for the sake of Allah with his money and self." Then he was again asked: "And who else?". Muhammad replied: "The believer who worships his Lord in one of the mountain's passes doing harm to nobody. 60) One should not pass any judgement on two disputing parties while he is suffering, worried, or tired of anything. 61) The Prophet once ordered the Muslims not to squat on road sides and when they objected saying that it was necessary for them to do so to discuss matters, Muhammad said: "If you have to do so, then you have to keep the integrity of the road". They asked: "What is the road's integrity and duty?". He explained: "You should lower your gaze; not to do harm to any passer-by; to answer the greetings of passers-by; and to enjoin good and forbid evil". 62) Any believer who consols a brother Muslim at a misfortune which befell upon him will be dignified by Allah on the Judgement Day. 63) Allah does not care of your images and fortunes, but of your hearts and deeds. 64) When you see a person who has been given more than you in money and beauty, then look to those who have been given less. 65) 1 have been sent to you to explainfully good dispositions. 66) If a man seeks permission to enter someone else's house three times and gets no answer, he should retire. 67) if you are asked an adivce, give it. 68) The best of you is he who passes good and fair judgements. 69) The most hated man to Allah is the most violent of adversaries. 70) Once a man who was passing through a road found a branch of a tree with thorns obstructing it. The man removed the thorns from the way. Allah thanked him and forgave his sins. 71) If your servant brings you your food you should give him from it, if you will not allow him to share it with you, a morsel or two morsels of it because it was he who prepared and served it. 72) The best of you are those with good conduct and dispositions. 73) If someone of you was on a long journey he should not return to his residence at night. (This is to be done in order to give the wife a chance to prepare herself to receive the husband). 74) Whoever believes in Allah and the Last Day should respect and honour his neighbour; and whosoever believes in Allah and the Last Day should be hospitable to his guest and discharge his duty towards him. When Muhammad was asked about this duty, he said: "you should look after him day and night and the entertaiment of any guest should last for three days and beyond this it becomes a sort of charity." 75) If you do not feel ashamed of anything, then you can do whatever you like. 76) It is the young who should start greeting the eldest; the passer-by the seated; and the few the gathering. 77) When three persons are together, two of them must not whisper to each other without letting the third hear, until others are present, because it would hurt him. 78) Adam's son grows and with him grow two things-the love of wealth and love of long life. 79) Three kinds of people Allah will not talk or look at on the Judgement Day: One who wants to sell a commodity and swears that he had been offered bigger price, of course telling lies; a seller who swears a false oath in the afternoon in order to dispense with his article with the intention of usurping some other Muslim's money; and a man who denies water to any other man. To the last one Allah will tell on the Judgement Day: "Today, I will deny you My grace and blessing as you had denied that man of something which was not your own". 80) Talk to people according to their eminence. 81) He who believes in Allah and in the Hereafter, let him honour his guest. 82) It is not right for a Muslim guest to stay so long as to incommode his host. 83) Whosoever does mischief to his neighbour will not enter Paradise. 84) Gabriel was always asking me to take care of my neighbour till I thought he will be a heir. 85) 1 swear by Him in whose hands is my soul that no one is a true believer unless he likes for his neighbour the same thing he likes for himself. 86) Paradise lies under the shadow of swords. 87) Anyone whose feet get soiled with dust while struggling for the sake of Allah will never go to the Fire. 88) Allah has promised that anyone who leaves his residence with the objective of struggling in the way of Allah, believing that there is no god but Allah and that Muhammad is His Messenger, will either go to Paradise, if martyred, or come back safe to his house with Allah's rewards or with his booty. 89) Anyone who is wounded in the way of Allah-and Allah knows better who is wounded fot His sake-will rise on the Resurrection Day with his wounds flowing blood; the colour is that of blood, but the smell is that of musk. 90) The Prophet made Salman and Aboul Darda' brothers. Salman paid a visit to Aboul Darda' and saw Umul Darda' (his wife) in a destitute condition. He asked her: "How do you do?" She said: "Your brother Aboul Darda' has no need in this world". Here, Aboul Darada' came and prepared food for Salman. He said to him: "Eat, as I am fasting". Salman replied: "I am not going to eat unless you eat too." So Aboul Darda' ate. At night, Aboul Darda' began to get up for prayers. Salman bade him "Sleep" So he slept .Then again he got up, but Salman bade him "Sleep". In the last part of the night Salman bade him `Get up now', and both said their prayers. Then Salman said to Aboul Darda': "verily, your Allah has a right upon you; yourself has a right upon you; and your family has a right upon you. So give to everyone what is due to him". Later, Aboul Darda' went to the Prophet and told him the whole story. The Prophet said: "Salman has told the truth". 91) Allah likes that when someone does anything it must be done perfectly well. 92) The best of you is one who is best for his family; and I am best amongst you for my family. 93) Whoever estranges himself from his father is not a believer. 94) Anything you spend on your family expecting nothing in return except Allah's reward will be accounted for as a charity. 95) The man who looks after the widow and the needy is similar to that who struggles for the sake of Allah; who spends almost all the night in saying prayers; or who fasts the day. 96) You are not granted victory and livelihood except for the sake of the meedy from amongst you. 98) A man came to the Prophet to ask permission to go out to struggle in the way of Allah. The Prophet asked: "Are your parents alive?". The man said: "Yes". The Prophet said: "Then go back and struggle for their sake". 99) A man asked the Prophet about seemliness and the disposition to good and sin. The Prophet replied "Seemliness is to have good disposition and nice manners. Sin is that which you keep secret in your heart and dislike to be known to anyone else". 100) When Allah created His creatures. He wrote above His throne: "Verily My compassion overcomes My wrath." 101) A merciless man will be denied good rewards. 102) Allah will chastise whoever persecutes people in the world unjustly. 103) The merciless man will not receive any mercy from Allah. 104) Each one of you is a master and is responsible for his dependants. The ruler is the master and he is responsible for his subjects; the head of the family is the master and is responsible for all the family; the wife in her husband's house is the mistress and she is responsible for all members of the family; and the servant is the master of all the property of his lord and therefore he is responsible for everything in the household. 105) Any Muslim is a brother of any other Muslim; he should not persecute him or leave him alone in his troubles. Whoever helps his brother Allah will help him and whoevere delivers anyone else from any distress Allah will deliver him from one of the distresses of the Resurrection Day. 106) Allah will not give mercy to anyone except those who give mercy to other creatures. 107) When Allah created compassion and mercy He made it in one hundred forms. He kept for Himself ninety loving kindness and sent to His creatures only one. If a disbeliever knows what mercy is with Allah, he never gets disappointed of entering Paradise. 108) Muhammad once told Abou Mas'ud who was beating his servant: "Allah can exercise on you power more than that you exercise on your servant". Abou Mas'ud, from that moment, swore not to beat a servant in future. 109) The prophet said once to Abou Zarr :You are still behaving as those of the Days of Ignorance (pre-lslam). Your servants are human beings like you, who are serving you, so give them to eat of what you eat and clothe them as you clothe yourself. Do not ask them to do any work which may be beyond their capacity; and if they are to do some difficult work, help them. 110) If a servant serves his master sincerely and honestly, he will be given a double reward. 112) He is not strong and powerful who throws people down; but he is strong who withholds himself from anger. 113) There is not any Muslim who visits another in sickness, in the forenoon, but that seventy thousand angels send blessings upon him till the evening; and there is no one who visits the sick, in the after-noon, but that seventy thousand angels send blessings upon him till daybreak. 114) `A'isha is quoted as having said that when anyone was sick, Muhammad used to say: "O, Lord of mankind! Take away this pain, and give health; for it is only You Who are the giver of health; there is no health but Yours, that health which leaves no sickness". 115) A woman was punished for a cat which she tied till it died from hunger. She gave the cat nothing to eat, nor did she set it at liberty so that it might find some food. 116) Abou Hurayrah quoted the Prophet as saying that an adultress passed by a dog at a well in a hot day holding out his tongue from thrist. The woman drew off her boot with which she drew water for the dog. She was forgiven for this act. 117) The Prophet said: "Once a man was very thristy. He found a well into which he went down and quenched his thirst. When he came up he found a dog holding out his tongue from thirst. He said to himself that the dog is suffering from the same thing I have suffered. He went down into the well and brought some water with his boots and gave it to the dog. Allah thanked and forgave him. The Prophet's Companions enquired: "Are there rewards for our doing good to quadropeds?" Muhammad said: "Verily there are heavenly rewards for any act of kindness to a live animal". 118) If you want to go to bed, first perform ablution as if you are going to say your prayers and then lie on your right side. Before sleeping say: O, Lord! I supplicate You for firmness in faith and for Your aid in being grateful to You. I leave all my affairs to You because I like and fear You. I seek no refuge but in You. O, Lord! I believe in the Book and the Prophet You have sent. 119) O, Lord! I make my complaint unto You of my feebleness and the vanity of my efforts. 120) O, Lord! Would that between me and sins there were the distance of the east and the west! O, Lord! imaculate my soul of mistakes as the white cloth is cleansed from dirt. I supplicate You to wash my sins with water, ice and hailstones. 121) O, Lord! I seek refuge in You from cowardice, decreptitude, the temptation of worldly life and the chastisement of the tomb. 122) O, Lord! Surely I have wronged myself terribly and no one pardons sins save You. I beseech You to forgive and have mercy on me. Surely You are Forgiving and Merciful. 123) There is no god but he who has no partners with Him. Yours is the Kingdom and Yours is the praise. You are the Possessor of power over all things. If You want to give, no one can prevent it; and if You withhold anything, nobody can get it. 124) O, Lord! If You know that this work is good for me and will benefit my religion and livelihood and get me a reward in the Hereafter, I beseech You to make it easy for me to perform and give it Your blessings. If You know that it will affect my religion and life and will be punished for it in the Hereafter, I pray to You not to make me do it. Let me do good forever. 125) You are my Lord and there is no god but You. You have created me and I am Your servant. I will do my best to fulfil my promise and keep my duty to You. I seek refuge in You from any sin I might have committed. I will come to You with gratitude for Your favours to me and with my sins which I beseech You to forgive. No one will pardon sins save You. 126) O , Lord! I pary to You to put light in my heart, eyes and ears. Make my right and left sides clear. O, Lord! Surround me with light and kindle the light in my way. 127) Islam is founded on five pillars: To bear witness that there is no god but Allah that Muhammad is His Messenger; to keep up saying prayers; to pay the poor-rate to perform pilgrimage to the House; and to fast Ramadan. 128) The whole foundation is erected on Islam; its main pillar is saying the prayers and its top is striving for the cause of Allah. 129) Anas Ibn Malik narrated that when the Prophet was at the point of death the only advice he gave to the Muslims was: "Keep up saying parayers and be kind to your servants and dependents." 130) Say your prayers standing but if you are not able to do that, sitting; and if still unable, on your sides. 131) Al-Mughira Ibn Sh'ba narrated that once the Prophet said his prayers till his feet swelled. He was told: "Why do you do that since Allah will cover for you your alleged shortcomings in the past and those to come?". Muhammad said: "Is there any reason why should not I be a grateful servant?". 132) Once the Prophet was asked: "Which act is most liked by Allah?". Muhammad said: "To say your prayers in the scheduled time". Again he was asked: "Then what?". Muhammad said: "To be kind to your parents". "Then what? ", he was asked. "To strive for the cause of Allah", he replied. 133) If a man does not say his prayers he comes very near from being disbeliever and from ascribing partners to Allah. 134) The best of alms is that which the right hand gives and the left hand knows not of. 135) The best of alms-giving is that which springs from the heart and is uttered by the lips to soften the wounds of the injured. To enjoin good and forbid evil is also a charity and an act of alms-giving. 136) Alms-giving is a duty on you. Alms should be taken from the rich and returned to the poor. 137) There are seven people whom Allah will draw under His own shadow on the day when there will be no other shadow: a just ruler; a youth who was brought up fearing Allah; a man who likes to say his prayers in mosques regularly; two persons who meet and disperse with sincerity to Allah's teachings; a man who refuses to be seduced by a pretty and influential woman fearing Allah; a man who has given alms and concealed it so that his left hand knew not what his right hand did. 139) A man's charity should first be to himself and if something remains it should be given to his own family and if later something more remains, it has to be given to relatives. 140) Whoever has a fortune and refrains from giving the poor-rate will be heated in the fire of Hell. 141) A man asked the Prophet: "What is the deed which allows me to paradise?". Muhammad said: "When you worship Allah associating no other god with Him; when you say your prayers regularly and in time; when you give the poor their dues; and when you observe and keep inviolate your ties with your relatives." 142) Charity may be in giving only a date provided it is obtained through lawful work for Allah does not like except lawful deeds. 143) Everyone should protect himself from the fire by giving the needy even half a date; if he finds nothing to give, let him speak to others nicely. 144) Alms-giving and charity are duties on you, but only when you have surplus of money. Anyone who gives charity while he needs the money or while his family is in need of his charity or while he has a debt to discharge, the debt should be given priority and be discharged. 145) The best charity is that which is paid after meeting all your requirements; start with giving it to your dependents. 146) The man who spends money (the upper hand) is better than him who begs (the lower hand). But first give your dependents. 147) The needy is not he who likes to have one or two meals, but he who has no means and feels shy to beg or begs not of men importunately. 148) It is a charity if you worship Allah as if you see Him and believe that if you do not see Him, He sees you. 149) Every good act is charity. 150) Good and nice words spoken to others is charity. 151) Verily it is better for any of you to take your rope and bring a bundle of wood upon your back and sell it, in which case Allah guards your honour, than to beg of people, whether they give or not. If they do not give, your reputation suffers, and you return disappointed; and if they give, it is worse than that, for it lays you under obligation. 152) Everyone who has a healthy body must thank Allah every day for granting him health; if you do justice to two disputing men, it is charity; if you help a man to ride over his camel or to put over it his luggage, it is charity; to say a good word is charity; to say your prayers is charity; and to remove any obstacle or mischief from the road is charity. 153) A man came to the Prophet and said: "My camel has perished and I want you to give me another one in its place". Muhammad said: "But I have no camels". Another man who was present proposed: "Can I tell him of someone else who can afford give him a camel.". The Prophet said: "Whoever leads someone to good will be rewarded exactly as would be the good -doer." 154) Charity does not reduce fortune and when Allah forgives one of His servants the latter becomes more dignified. And whoever shows humility to men for Allah's sake Allah will exalt his eminence. 155) A keeper of the fast who does not abandon lying and detraction Allah cares not about his leaving off eating and drinking. 157) Whosoever bears witness that there is no god but Allah and that there is no associate with him and that Muhammad is His servant and messenger, that Jesus is Allah's servant and messenger and His word which He communicated to Mary and a mercy from him, that the Garden is true and the fire of the Hell is true, surely will enter Paradise irrespective of what he had done in the worldly life. 158) When the prophet was once asked about the hour of Doom he replied that the inteviewed knew nothing about it more than the interviewer knew. But he said that there are certain signs: When the girlslave has authority over her mistress and the barefooted and unclothed become superior to the nobility of communities. 159) Men will be liars towards the end of the world. They will relate such stories as neither you nor your fathers ever heard. Then avoid them, that they may not lead you astray and throw you into contention and strife. 160) He who leaves his home in search for knowledge walks on the path of Allah. 161) The acquistion of knowledge is a duty incumbent on every Muslim, male and female. 162) Go in quest of knowledge even unto China. 163) Seek knowledge from the cradle to the grave. 164) Anyone who exaggerates in words and action will be lost. 165) If anyone of you ask forgiveness from Allah he should not say: "O, Lord, Forgive me if You wish; he should pray to Allah with great faith in Him. Allah cares not for anything whatever great He grants His servants. 166) `A'isha narrated that once Muhammad was reciting the following Quranic verse, "he it is who has revealed the Book to thee; some of its verses are decisive-they are the basis of the Book-and others are allegorical .Then those in whose hearts is perversity follow the part of it which is allegorical seeking to mislead, and seeking to give it their own interpretation. And none knows its interpretation save Allah, and those firmly rooted in knowledge. They say: we believe in it is all from our Lord.. And none mind except men of understanding", and after reading it the Prophet said: "If you see those who follow the allegorical verses, take care of them because they are really those whom Allah has referred to''. 167) If Allah likes someone to be good He makes him understand and learn. Certainly knowledge is the result of learning. 168) If envy were proper, two persons would be the most proper objects of it: one, a man to whom Allah has given riches, and appointed to bestow in charity; the other, to whom Allah has granted the knowledge of religion, and who acts thereon himself, instructing others. 169) Among the signs of the Hour of Doom are the absence of learning, the spread of ignorance, the drinking of spirits and the practice of adultery. 170) If Allah wants anyone to be good He makes him learn the principles of Islam fully. 171) Some eloquence is like magic. 172) I have been sent to explain fully good disposition. 173) I have been sent with the best of all words and calls. 174) The truest words spoken by any poet are those of labid: "Know that everything is vanity save Allah". 175) Some poetry is dressed in knowledge and art. 176) You will never be permitted to enter paradise unless after you believe in Allah. You will not have such a belief unless you love each other. Shall I not inform you of a better act which, if done, you would befriend yourselves to one another? Make peace between you. 177) War is trick and stratagem. 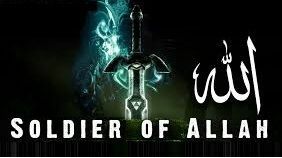 178) Abdullah was quoted assaying that in one of the Prophet's battles one woman was found dead. The Prophet resented this and forbade killing women and children. 179) Would I explain to you the greatest of sins? They are three: To associate another god with Allah; to be undutiful towards your parents; and to practise prejury or tell lies. 180) A man asked Muhammad of the greatest of sins. The Prophet replied: "To call upon another god with Allah who alone had created you". The man said: What else? The Prophet said: To kill your child lest he shares you your food. The man again asked: What else? To this the Prophet answered: To commit adultery with your neighbour's wife. On this occasion Allah revealed to Muhammad this Quranic verse: "And they who call not upon another god with Allah and slay not the soul which Allah has forbidden except in the cause of justice, nor commit fornication; and he who does this shall meet a requital of sin". 181) Whoever kills himself with a knife will have it in Hell; he will be stabbing his belly with it forever. And whoever takes poison and dies will sip in Hell forever. And whoever lets himself fall from a high mountain. killing himself, will remain in Hell forever. 182) One should not say all that he knows lest he would be telling lies. 183) Every man who calls a Muslim infidel will have the epithet returned to him. 184) Whoever dies without associating any diety with Allah will go to Paradise; and whoever dies with the belief that there is another god associated with Allah will go to the Fire. 185) Whoever fights us is not a Muslim. 186) It is a great sin that man curses and abuses his parents. When the Prophet was asked how can one abuse his parents, he replied: When two people exchange abuses to each other's parents. 188) Abu Zarr once asked Muhammad as to who were the losers in the Hereafter. The Prophet replied: "They are the ungrateful; those who reproach others with any favour they have done to them; and the seller who disposes of his commodity by swearing false oaths". 189) Whoever tells lies in order to get more money his fortune will certainly be diminished. 190) There are people who do good acts permitting them to enter Paradise but go to the Fire; and there are other people who look as if they do bad deeds sending them to the Fire but are of those who will enter Paradise. 191) Paradise is open only to the believers. 192) The Prophet asked his disciples: "Would not I tell you of the greatest of sins? they are: to associate another with Allah; to vex your father and mother; and to swear to a lie". 193) Gold is to be paid for by gold, silver by silver, wheat by wheat, barley by barley, dates by dates, and salt by salt, like by like, payment being made hand to hand. If anyone gives more or asks for more, he has dealt in (Riba)-usury The receiver and the giver are equally guilty. 195) The person who does not desist front leasing his land (on condition that he will receive a certain agreed proportion of its produce) should be ready to face a war from Allah and His Messenger. 196) It is not permissable to take two animals for one. However, if it is a hand-to-hand transaction, such a thing would not matter. The Prophet has prohibited the exchange of one animal for another on credit. 197) Whoever is in possession of land must cultivate it himself, but if he cannot do so, and is unable to cultivate the whole of it, then he should bestow it on his brother Muslim as a free gift or lend it to him, but he should not seek wages or profit from it in any form. 198) Any Muslim who plants a tree from whose fruit another man eats is a charity for him. The same is for him if beasts or birds eat from the tree. Any part taken by someone else of the tree is also a charity for the planter of the tree. 199) The best food taken by anyone is that which comes from his labour. 200) Allah will bless the tolerant and lenient man who sells, buys and takes his dues nicely and gently. 201) Any creditor merchant realises that his debtors are in straitness and asks his employees to forget about the debt seeking Allah's grace and blessings Allah will grant him what he wants. 202) One weight of things should not be returned in two weights nor does a dirham be repaid in two. 203) Anyone who purchases food should not sell it unless he pays its price fully. 204) It is forbidden for anyone to cancel another man's trade transaction by offering less quotation. Nor is he allowed to marry another man's fiancee. 205) Allah said that three kinds of people will be His enemies on the Judgement Day: A man who swears by Allah and does not honour the oath; another man who does not pay the price of whatever he buys; and a man who asks someone else to do some work for him and refrain from paying him his wage. 206) Once a dead body was brought to the Prophet for prayers. The prophet enquired whether he has left any debt behind, and when he was told that he has not he prayed for him. On another occasion another dead body was also brought for prayers and when he put the same question and told that he has left a debt behind him, the Prophet refused to pray for the man and asked his disciples to do that instead of him. Here, Abou Katadah said: "I will pay the dead man's debt". the Prophet prayed for the soul of the man. 207) The slanderer has no place in Paradise. 208) The Prophet asked: "Do you know what is backbitting?". The Muslims said: "Allah and His Messenger know better". Muhammad said: "Backbitting is to say about your Muslim brother what he abhors." They enquired: "Suppose our statements are true". The Prophet replied: "If the statement is true, then you have backbitten him, and if not, you are telling lies about him." 209) Anyone who has these four bad qualities is a hypocrite and anyone who has only one of them is a hypocrite unless he gives up practising it: When he talks, he tells lies; when he makes an agreement, he breaks it; when he gives a promise, he keeps it not; and when he disputes with another man, he refrains from telling the truth. 210) The hypocrite is he who when he talks, tells lies; when he gives a promise, he breaks it; and when he is trusted, he proves dishonest. 211) One of the mischievous people is he who has two faces, meeting each party with a different face. 212) The holder of a monopoly is a sinner and offender. 213) Once prophet Muhammad passed by a grains dealer who put to sale a heap of unweighed wheat. Muhammad pushed his hand into the heap and his fingers felt wetness. He asked the dealer: "What is this, man?" The man replied: "It was soaked by rain". The Prophet enquired: "Why have not you put the wet portion on the top of the heap so that everyone can see it? Anyone who cheats others is not of my followers." 214) He will not enter the Hell who has faith equal to a single grain of mustard seed in his heart; and he will not enter Paradise who has pride equal to a single grain of mustard in his heart. 215) That person will not enter Paradise who has one atom of pride in his heart. A man present asked the Prophet: "Verily, a man is fond of having good clothes and good shoes." Muhammad said: "Allah is Beauty and delights in the beautiful; but pride is holding man in contempt." 216) Do not envy one another, nor dispute with one another, nor hate one another, nor leave one another in the lurch. Take the servants of Allah as brethren. A Muslim is brother to a Muslim; he should neither oppress him nor put him to disgrace, nor blame him as a liar nor he hates him. Piety is here (the Prophet pointed out to his chest three times). It is an evil deed for a man to hate his Muslim brother. For a Muslim, another Muslim's blood, property and honour are unlawful. 217) Martyrs come under five categories: Those who die of epidemics; those who die of diarrhea; those who drown, those who die under buildings collapse; and those who are killed in the way of Allah. 218) The martyr wishes to return to the worldly life to be killed another time for the sake of Allah after what he sees of the rewards given to martyrs in the Hereafter. 219) Anyone who is killed in defence of his property and wealth is a martyr. 220) I swear by Him in Whose hands is my soul that I wish to strive in the way of Allah and be killed several times. 221) A martyr shall be pardoned every fault but debt. 222) Whoever borrows money with the intention of discharging the debt Allah will help him do so; and whoever borrows money with the intention of not repaying it Allah will punish him. 225) The world and all things in it are valuable; but the most valuable thing in the world is a virtuous woman. 226) Take of women; they are the twin-halves of men. 227) Allah has forbidden you from vexing mothers and burying young girls alive. 228) Heavens lie at the feet of mothers. 229) Saad Ibn Abi Wakkas said: "The Prophet forbade Othman Ibn Maz'un from avoiding marriage. Had he permitted him to do so, verily we (other Muslims) would have become eunuchs". 230) A woman may be married by four qualifications: one on account of her money; another, on account of the nobility of her pedigree; another, on account of her beauty; the fourth, on account of her virtue. Therefore, look out for a woman that has virtue; but if you do it for any other considerations, your hands will be rubbed in dirt. 231) Anything you spend for the sake of Allah, you will get your reward for it even if it was a morsel of bread you put in your wife's mouth. 232) A certain woman came to the Prophet proposing that he may marry her. Anas's daughter surprisingly said: "What unbashful is this woman!" The Prohpet said: "She is better than you; she liked the Prophet and there is no harm if she proposes marriage." 233) Anas Ibn Malik narrated that once three persons came to the chambres of the Prophet to enquire from his wives as to how he worshiped his Lord and when they got the information they admitted that they could not match with Muhammad in this regard as Allah will cover for him his alleged short-comings in the past and those to come. Yet they said each one of them was practising his worship of Allah fully. The first said that he spent all his nights saying prayers; the second said that he kept all his days fasting; the third said that he never mixed up with women and he did not marry. Later, the Prophet met these people and asked them whether they had said such a thing. They replied in the affirmative. The Prophet said: ``I swear by Allah that I fear Him and perform all my duties towards Him, and I fast but also eat, say my prayers, but also sleep, and marry woment. Whoever refrains from following my path is not of my nation". 234) The thing which is lawful, but disliked by Allah, is divorce. 235) Abou Hurayrah quoted the prophet as saying that a giver of maintenance to widows and the poor is like a bestower in the way of Allah, an utterer of prayers all the night, and a keeper of constant fast. 237) Anyone accuses his dependents of adultery will be punished on the Day of Judgement unless the latter have really committed the sin. 238) Whoever follows a funeral until the prayers have been offered shall receive a single reward; and whoever follows the funeral until the burial is over shall receive a double reward. When the Prophet was asked about the reward he said that each one is as great as a huge mountain. 239) Do not Speak ill of the dead. 240) When a Muslim dies, remind his body by telling it that there is no god but Allah. 241) Any true and devout servant of Allah who, when a misfortune befalls him say "Surely we are Allah's, and to Him we shall return. Give comfort to my soul and recompense me" will be comforted and recompensated. 242) If a bier of anyone passes by you, rise to your feet and remain so till it disappears from your sight or buried in its grave. 243) Jabir Ibn Abdullah narrated that once a certain bier passed by them and the Prophet and his Companions rose to their feet. Then the Companions asked the Prophet: "Why have you done this since the dead is a Jew?". The prophet replied: "Death is frightening. Whenever a bier passes by you, you should rise to your feet. 244) Qais Ibn Sa'ad and Sahl Ibn Hanif told that when they were in Kadisiya a bier passed by them and they stood up on seeing it. When they were asked why they have behaved like this since the bier was one of the unbelievers of the area, they replied that once a bier passed by the Prophet and he stood up. when it was said to him that the dead was a Jew, Muhammad said: "Was it not the holder of a human being?". 245) Muhammad used to go towards the end of night to Al-Baqi' (grave yard of the inhabitants of madina) and turn his face towards the graves and say: "Peace be to you, the believers who reside these graves. You have been given what was promised to befall you one day. You will remain here till the Day of Resurrection. We are following you. May Allah forgive the inhabitants of this place." 246) Jabir Ibn Samra narrated that once a body of a man who killed himself with an arrow was brought to Muhammad for prayers. When the Prophet was informed that the man has killed himself, he refused to pray for his soul. 247) Not one of you must wish death for any worldly affliction. But if there certainly is anyone wishing for death, he must say: "O, Lord, keep me alive so long as life may be good for me, and cause me to die when it is better for me so to die". 248) Whoever loves to meet Allah, Allah loves to meet him; and whoever dislikes to meet Allah (in order to continue enjoying worldly affairs), Allah dislikes to meet him (deprives him of His mercy). 249) Do not speak ill of our dead lest you hurt our livine relatives. 250) Once the Prophet passed by a woman who was sitting beside a grave crying and wailing. He ordered her: "Be careful of your duty to Allah and also be patient". 251) Once a child was brought to Muhammad, dying; its body trembling and moving; the eyes of the prophet shed many tears. Sa'ad Ibn Ubadah said: "O, Messenger of Allah! What is this weeping and shedding of tears?. 8 Muhammad replied: This is an expression of the tenderness and compassion which Allah has put into the hearts of His servants; Allah does not have compassion on and commisserate with His servants except such as are tender and full of feeling''. 252) when Ibrahim, Muhammad's son, died the prophet said: "Verily my eyes shed tears and my heart is afflicted, and I say nothing but what is pleasing to my Benefactor; for verily, O, Ibrahim, I feel melancholy at being separated from you".